Christmas 2017 has come and gone. I am hoping everyone will carry their Christmas spirit throughout the coming year. You will find that Brunswick County, NC folks are some of the friendliest, kindest folks you can ever want to meet no matter what time of year it is. And, maybe you, like me, noticed an uptick of that caring attitude over the holiday season. The small day to day courtesies are wonderful to witness and experience. However, times are difficult for many of us, so if you are wondering how you might help on a regular basis, or, if you are looking for something meaningful to do with extra time on your hands, I would like to suggest that you look into volunteering. There are so many areas of need that you can surely find an area that interests you. You might even turn you hobbies into ways to help others. You will definitely find your life more enjoyable and fulfilling. Volunteer opportunities in Brunswick County, NC can be found in human services, children’s services, the arts, historic preservation, community development, and animal welfare. Don’t know where to go to find your niche? Here are some suggestions for you. If helping animals is dear to your heart, you can check out the Oak Island Feral Cats Club; Paw’s Place Dog Rescue; Sea Biscuit Wildlife Shelter; or Southport-Oak Island Animal Rescue (SOAR). If you are interested in historic preservation or community development, why not look into Brunswick County Habitat for Humanity; Fort Johnston-Southport Museum Visitors’ Center ; Friends of the Oak Island Lighthouse; North Carolina Maritime Museum at Southport; Smith Island Museum of History. If the arts are your thing, these groups would be pleased to hear from you: Brunswick County Arts Council; Brunswick County Intercultural Festival. Your love of children, sewing or golf might be fulfilled by taking part in these: Blankets with Love, Brunswick County School System; Communities in Schools of Brunswick County; The First Tee Brunswick County; Providence Home of the Family Emergency Teen Shelter, Inc.; WAVES4K.I.D.S. If human services speak to you, try out these worthy causes: Brunswick County Literacy Council, Inc.; Brunswick Family Assistance Agency; Hope Harbor Home; Sheltered Treasures. The days are flying by as Christmas approaches and people are busy getting ready for their own special celebrations. As you are doing this, don’t forget to enjoy each day. On Saturday, December 16, you can purchase those last minute decorations and gifts while enjoying the day at the same time. Just head into Shallotte, NC to the new Christmas Village in Mulberry Park at 123 Mulberry Street. From 11 Am until 3 PM you can visit 50 vendors and purchase holiday decorations, gifts, veggies, cider and more. Santa will be there and there will be hayrides, children’s crafts, and a big band Christmas show. The contact for information is Emilee Sinclair at: 910-754-4032 or esinclair@townofshallotte.org. Got an ugly Christmas sweater? Want to show it off? Like to run races? Check out the Southport Ugly Sweater 5K and Reindeer Run (a 1 mile walk/run) with or without antlers. The run begins Saturday, December 16 at 8 AM on Bay Street in Southport, NC, so signup at coastalraceproductions.com (use code Southport20). Coffee, hot chocolate and cookies will be available after the race and the event supports the NC Fourth of July Festival. If you are yearning to attend just one more Christmas Parade, you are in luck. 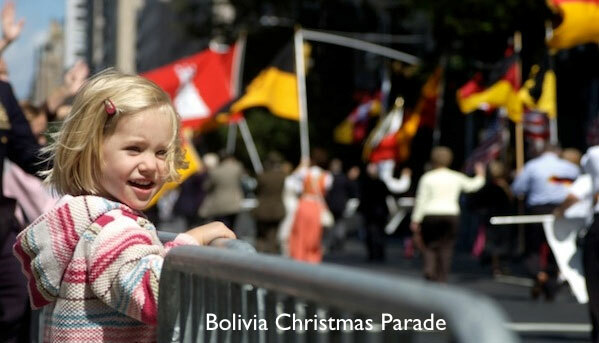 Bolivia, NC will hold its Christmas Parade beginning at 6 PM on Saturday, December 16. The parade will begin at the Brunswick County Government Center and follow Old Ocean Highway to Bolivia. Enjoy! This weekend the fun begins on Friday, December 8, 2017, in Southport, NC. Your family and friends can start the afternoon at 3 PM at the NC Maritime Museum. There a Victorian lady will take you on a Holiday History Tour. Then beginning at 5:30 PM, kids of all ages can ride on a fire engine in the Light up the Night parade. The parade will also include classic cars, bands and floats among other interesting entrants. Refreshments with Santa will be served at the fire station after the parade. Saturday offers a full day of fun. The Winterfest Winter Craft Festival will be held in Franklin Square Park in Southport, NC from 9 AM until 4 PM. There you will find holiday decorations, gifts and food. You can even make your own wreath with instruction by members of the Southport Beautification Club for a $30 fee. A Handmade Christmas will be held at the Southport Community Building from 10 AM until 1 PM. Also on Saturday, from 1 PM until 6 PM you can enjoy the festive decorations in a list of Southport homes that will be included in the Winterfest Christmas Tour of Homes. After dinner, you can enjoy the Winterfest Christmas Flotilla from 7 PM until PM – or decorate your own boat and take part yourself. If you will be in the Leland, NC area on Saturday, you might want to take in the North Brunswick Christmas Festival and Parade beginning at 10 AM. On Sunday, beginning at 1 PM you can also enjoy An 18th Century Christmas at the Brunswick Town/Fort Anderson State Historic Site. All of these wonderful festivities should get you in the mood for celebration.